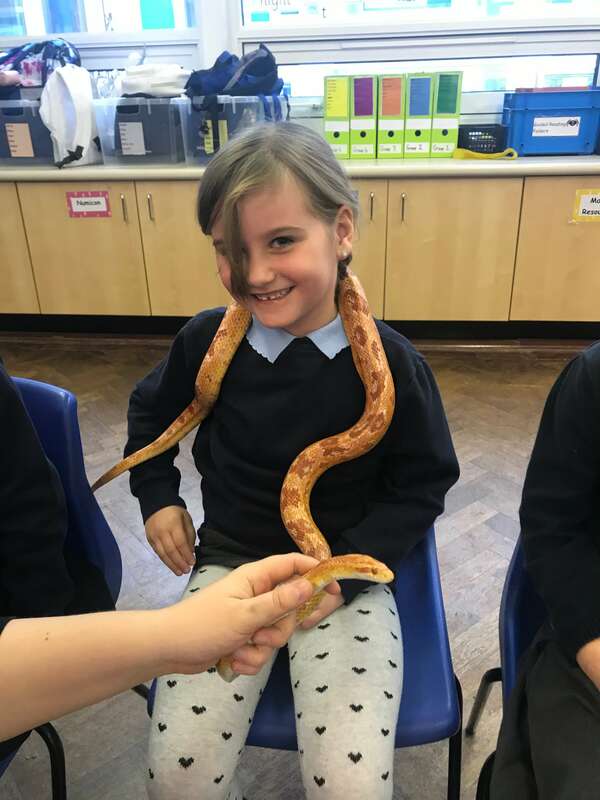 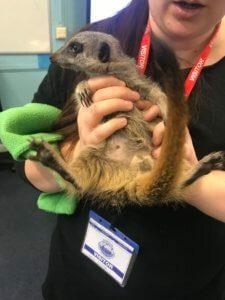 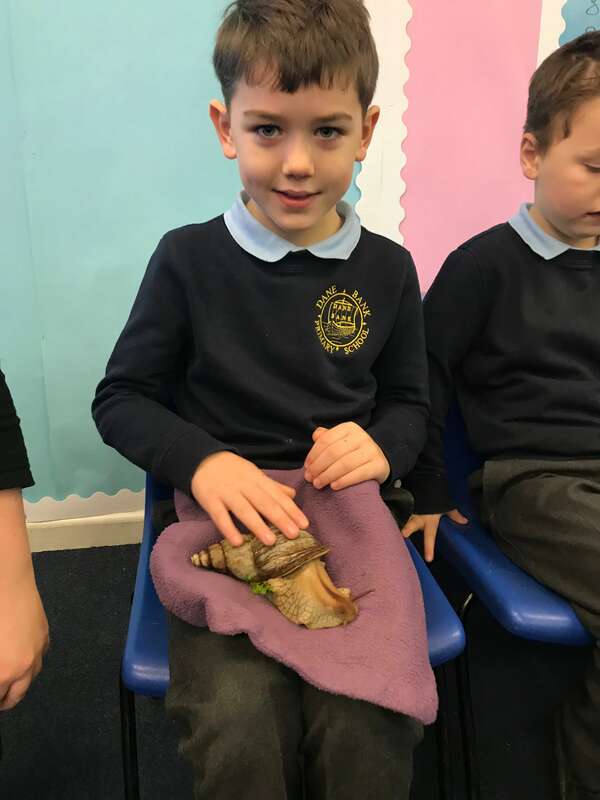 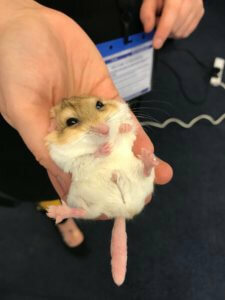 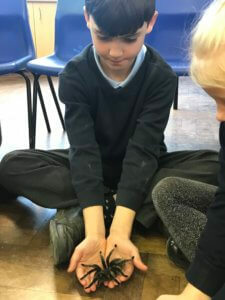 Year 2 had a very exciting visit from Animal Magic on Thursday to start off their new topic, “Shall we go on safari?”. 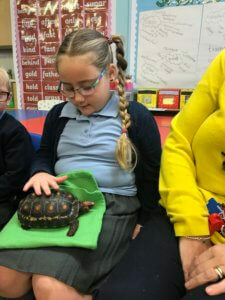 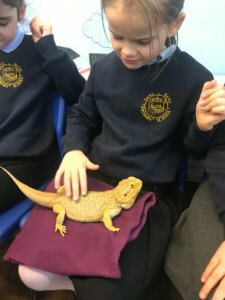 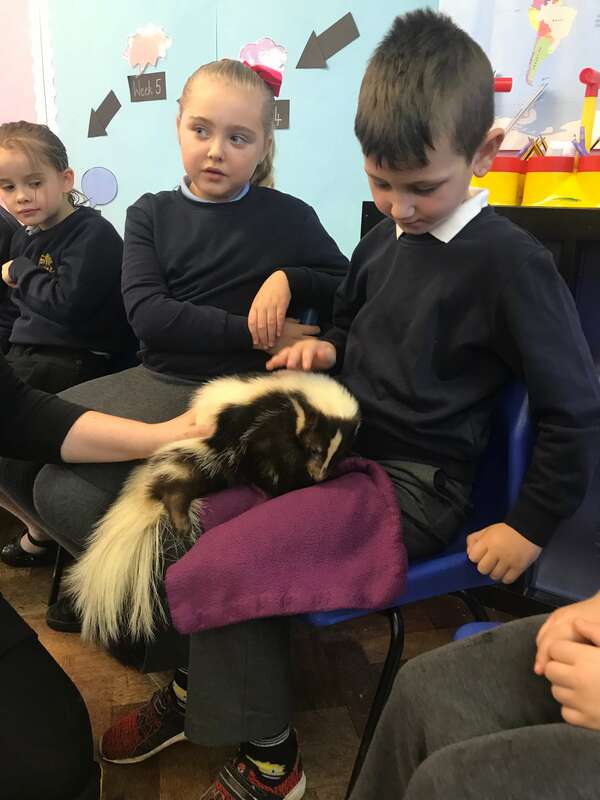 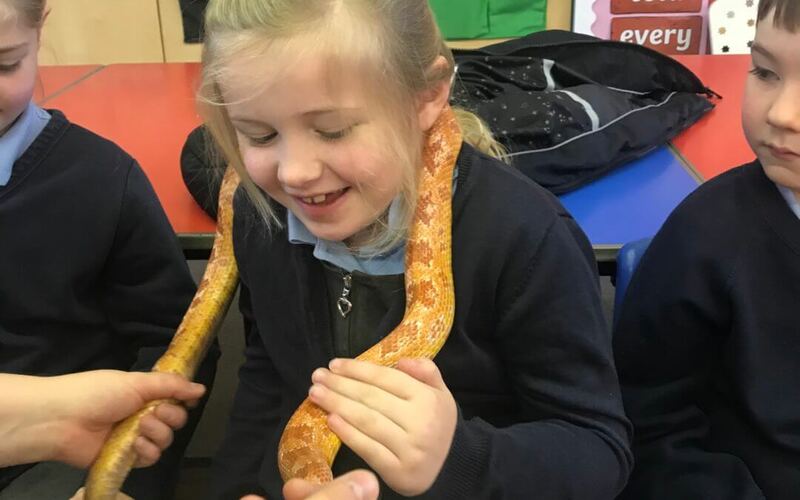 During the visit, they got hold lots of different animals and find out exciting facts about them. 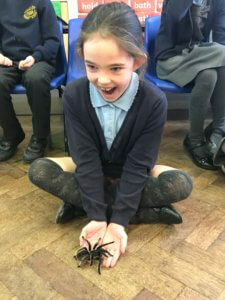 They saw a Blue Tongue Skink, Skunk, Tarantula, Snake, Gerbil, Tenrec, African Snail, Tortoise and a Bearded Dragon.